It’s no secret vehicle graphics and wraps are a smart choice for using budgeted advertising dollars for all size businesses. Vehicle wraps have become the 21st Century affordable advertising method turning cars, vans, trucks, SUVs and trailers into 24/7 moving billboard advertisements with a one-time investment. Wraps offer the affordability and peace of mind of one bill and no monthly advertising invoices! 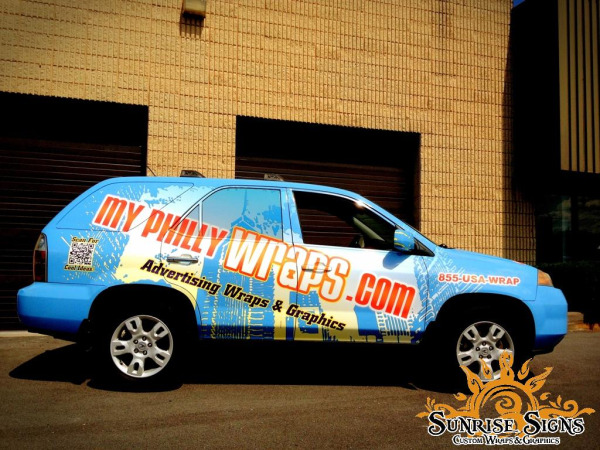 Businesses with a company car, a fleet of vehicles or those that need a franchise branding boost can find the very best vehicle wraps at MyPhillyWraps.com.